Nov 11, 2015 (LBO) – Sri Lanka is in the process of making plans to restructure the state owned enterprises and boosting management skill levels, Deputy Minister of State Owned Enterprises Eran Wickramaratne told LBO in an exclusive interview. “We have lots of plans and we are right at the beginning. 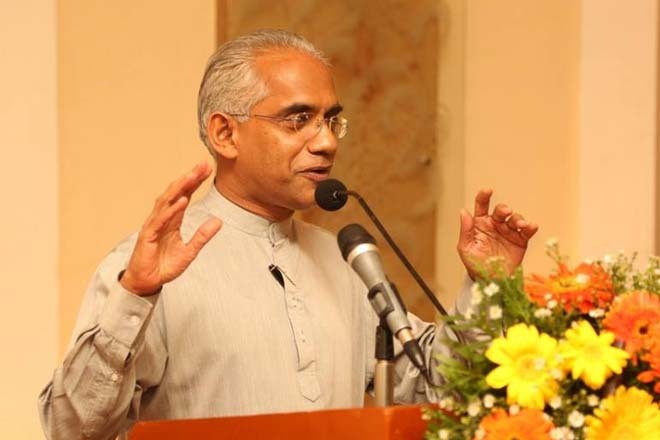 We are in the process of creating the principles,” Wickramaratne said. “As it goes forward it will be different for institution to institution. Because institutions vary a lot. You can’t do the same as what you do for an airline in a plantation company or in the banking sector,” he said. “We have studies going on and then we will give policy direction based on those, and companies will make the decisions accordingly,” he said. State enterprises are defined as legal entities that undertake commercial activities on behalf of an owner government. However these institutions are criticized often for laid back services and loss making processes. Experts say there has been no progress in halting losses incurred by the SOEs, especially the larger corporations such as the Ceylon Electricity Board (CEB), Ceylon Petroleum Corporation (CPC) and Sri Lankan Airlines. Wickramaratne said managerial skill gap is one of the biggest issues in the state enterprises that holds back growth. Bridging this will help the efficiency level of the state employee to move up and to turn around the loss making processs. “If you look at the required skill level to take it to the new business plan, you will find that there are management gaps in most state institutions,” Wickramaratne said. “We are open to fill those gaps by bring in those required skills from outside,” he said. There is no one method but many such as hiring new people, hiring new services, outsourcing certain functions. “The biggest hesitance with the public enterprises is up scaling it to modern management due to the skill gap,” he said.